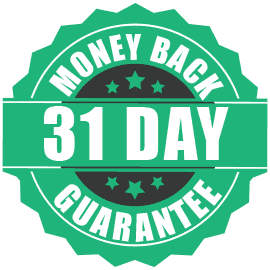 Optimized servers, complete online security, no activity logs. How to Access VKontakte from Any Location? VK used to be available in a few neighboring countries of Russia up until early 2017, when the regional governments decided to limit Russian influence on their culture and economy. Why You Need a VKontakte VPN? With a VK VPN like PureVPN, you can access VKontakte from any region in the world with complete online safety and peace of mind. If you are about to travel to a region outside Russia, you should know that VK won’t be accessible outside Russia. The social network is accessible within Russia only, and all other countries have no access to it. If you want to get around these roadblocks and use VK to stay in touch with your friends and colleagues during your vacation, you will need a good VK VPN installed on your device. With PureVPN by your side, you can access VK instantly by changing your virtual location to Russia. If you have moved outside Russia in search of better opportunities, you must be missing the connection you had with your friends and family back at home. This feeling of emptiness can increase when you can’t stay connected with your folks on social media. If you are facing issues like these, a VK VPN such as PureVPN can put an end to your ordeal. All you have to do is you is choose a Russian server, hit the connect button, and you are good to go – VK will now be accessible! Facebook may have the most popular content, but VK is home to a lot of unique content that never finds its way to Facebook groups and pages. If you are looking for unique content, and you live in a country where VK cannot be accessed, you need a VK VPN to make things work. With PureVPN, you can instantly change your virtual location in just a few clicks or taps. In this case, you will connect to any server based in Russia. Once connected, you can visit VK and do everything on the social network that only Russians can do. VK has been breached multiple times in the past. Each time, millions of users got their VK accounts and all their personal information compromised. Moreover, users who used similar passwords on multiple accounts ended up with more problems. If you use VK often, you need a VK VPN such as PureVPN. When you connect, your original IP address gets masked by a VPN-provided IP address, giving you a new online identity. Moreover, all your internet traffic is encrypted from end-to-end, keeping your personal data safe from any prying eyes. If you do not take measures to keep your digital identity a secret, the chances of your device getting intruded by a cyber-criminal increase heavily. However, with a VPN for VK, you can go about your online activities without watching your back at all times. 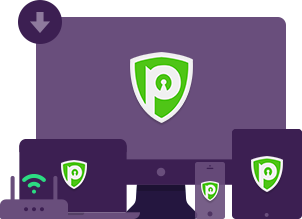 Using PureVPN, you can surf the web with a cloak of anonymity. This also makes it possible to stay hidden from the limitations that ISPs and regional authorities place on their country’s internet users. Why can’t I access VK? If you are outside Russia, you will not be able to access VK due to regional limitations in your country which make it impossible to access the social network. If you want to access VK from outside Russia, you will need to connect to a VK VPN, such as PureVPN. Is it safe to use a VPN with VK? This depends on the VPN service you have chosen. It is highly recommended that you keep yourself away from free VPN services, as they are extremely unsafe to use. When you use a free VPN, your privacy is at risk as these services log your personal information and sell it to third-parties for a profit. 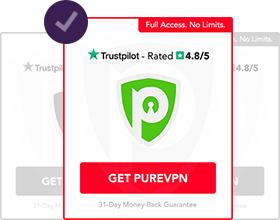 A premium VPN such as PureVPN is totally safe to use. With it connected on your device, you become completely anonymous online, and can browse the web with freedom whilst staying safe from all forms of threats to your security. Is VKontakte (VK) blocked in India? VKontakte is only accessible in Russia. Outside Russia, it is blocked everywhere and can only be accessed safely with PureVPN. Is it legal to use a VPN with VK? There is no law that makes it illegal to use a VPN. Also, there is no law that makes it illegal to access VKontakte from a country where it is not accessible. Rest assured, using a VPN is completely safe and legal in most countries except China and UAE, where only government approved VPNs can be used. Is VKontakte still accessible in Ukraine? It has been more than a year since Ukraine banned access for its citizens to the Russian social media website. Some people believe that the move was a political one, influenced by Facebook. Without a good VK VPN such as PureVPN, it is impossible to access VKontakte. You can access any website or service which is not available in your region. Since your data is encrypted from end-to-end, you are able to keep it out of the reach of cybercriminals. With an anonymous IP assigned to your device, it’s difficult to tie your online activities back to you. 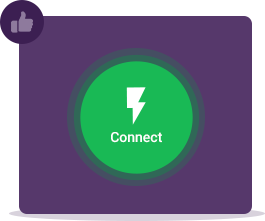 There’s plenty of ways a VPN like PureVPN can help you!